Winter seems to be an unpopular time in Melbourne as the chill sets in and the weather leans towards the wet and dreary. You start to hear of pilgrimages to Sydney and the Gold Coast with the warmer climes. However the city continues to beckon with plenty to see and do during the winter months. There is a long activity list for families, couples, singles, teenagers and kids in the city and the surrounds. Best of all, many of them are very affordable. To help you get into your overcoat and walking boots, here are some of the top FREE activities and events to enjoy in Melbourne during winter. Winter weekends start with a bang at Docklands between 4 July and 29 August. You can enjoy an evening of entertainment before and after the fireworks along the promenade and piazza at New Quay. Some of the activities includes African drumming, Bollywood dancing, story telling and puppet show. As part of Australian Cultural Program for AIDS 2014, the fireworks will go red on 18 July. You can also enjoy the special fireworks with paella and drinks from Alumbra. The fireworks start at 7pm and run for 10 mins. Presented by the City of Melbourne, the FREE fireworks is an excellent reason to take the family out on Friday evenings during winter. The State Library of Victoria (SLV) has become the home of Victor Hugo's Les Misérables in July with lots of FREE events related to the French writer. Victor Hugo bequested his entire archive of papers and manuscripts to the National Library of France in 1881. Thanks to this bequest, SLV is able to feature rare items from the collections of the Bibliothèque nationale de France, Maison de Victor Hugo, Musée Rodin, Cameron Mackintosh Archive and others. 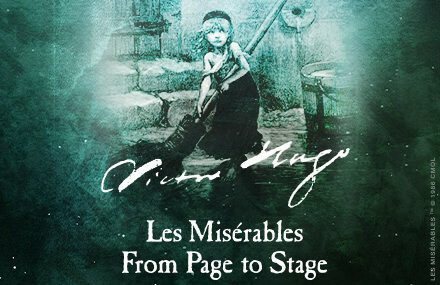 The Library's 'From Page to Stage exhibition' of Victor Hugo's Les Misérables running from 18 July to 19 August 2014 offers English and French language guided tours led by the exhibition curators. Visit the booking website for full exhibition details and ticket information. Guillaume Fau, Chief Heritage Curator at the Bibliothèque nationale de France will lead a discussion about the significance of Hugo's bequest to the Library, the people of France and the world on 20 July between 3pm to 4pm. Visit the booking website for details. Gérard Audinet, Director Maisons de Victor Hugo will be chatting about Victor Hugo's life and times on 18 July between 1pm and 1.45pm, and again on 19 July between 3pm and 3.45pm. Visit the booking website for details. Winter is always warmer with a sojourn to the Luna 1878 in Queen Victoria Market. This popular winter night market transforms the city's cold night into a celebration of roving maestros, cabaret stars, stage performances, shopping, mulled wine, warm food and crackling fire, all under one roof. Luna 1878 runs from 5pm to 10pm every Wednesday from 9 July to 27 August. Don't let the winter chill get to you. Get out there and strut your stuff with Freestyle Academy's City Sessions on 19 July. The brainchild of 3 of the country's most formidable street dance and freestyle artists, City Sessions is the largest freestyle arts event in Australia. Think 'Step Up' the movie live in Melbourne with the country's finest freestyle artists in an interactive battle style format. There is also a crowd-judged 2 versus 2 dance battle with emcee, street art and DJ performances. FREE to the public, the dancing starts at Federation Square at 2pm and travels down Swanston Street to end point of State Library of Victoria by 4pm. Play Me is presenting a one-off screening of works from Australian filmmakers and animators graduating from the Victorian College of the Arts. 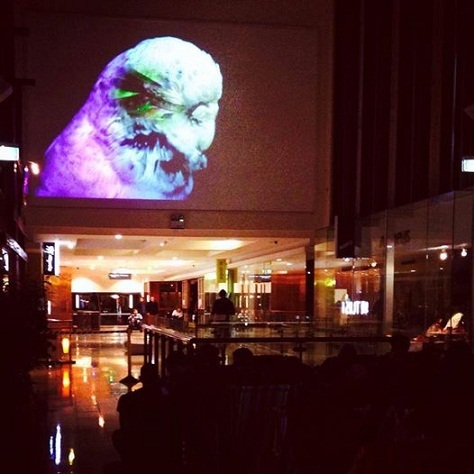 Organised by Project Q.U.A.D and Southgate, these video art, animation and short films will be shown for FREE at Southgate Cinema, Melbourne's only silent cinema from 8 July to 29 July. You can enjoy more than 20 graduate works every Tuesday at 7pm. Visit the Southgate website to book your tickets. Winter weekends are full of technology and computer swap markets thanks to Technology Market. These FREE entry events are the place to go if you and your family are looking for a great place to pick up the latest technology at bargain prices in July and August. Some of the locations include the Queen Victoria Market, Springvale Town Hall and Box Hill Town Hall. Overflowing with retailers, wholesalers, importers and home based businesses, you can find new and used computers, games, software, cables, accessories, inks, toners, mobile phones and accessories and repairs and upgrade services for Xbox, playstation, Nintendo Wii and DS. For a list of locations and dates, check out the organiser's webite. Open House Melbourne returns for another year of urban exploration and discovery on 26 and 27 July. This FREE event is result of efforts from the City of Melbourne's Committee for Melbourne Future Focus Group, the dedicated volunteers and the support of generous partners. Put on the warmers, grab the family and friends and enjoy the rare opportunity to understand architectural design and access over 100 significant buildings in Melbourne from a broad range of building types, styles and periods. Majority of the buildings are open access except for a small number of buildings. Due to the space restrictions, entry is preallocated via a ballot system with winners being pulled at random. 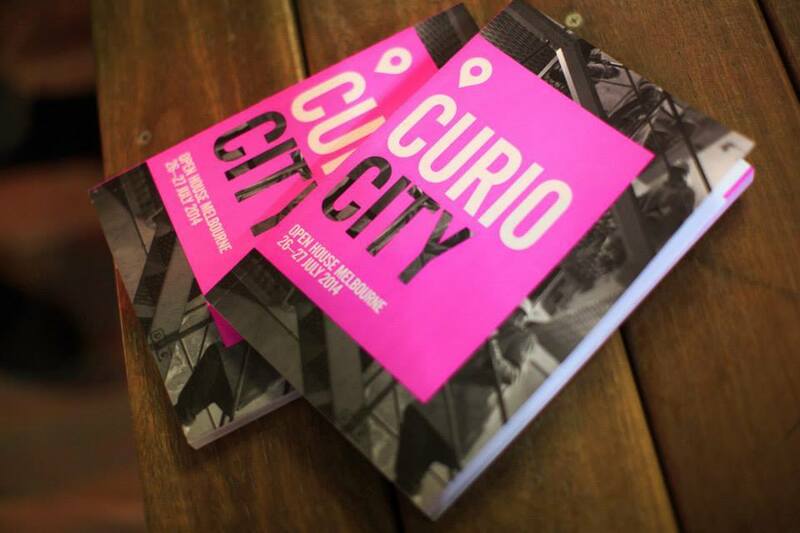 You can purchase a copy of the printed program that tells the the stories of the city. Proceeds from the program helps keep Open House Melbourne Weekend free. 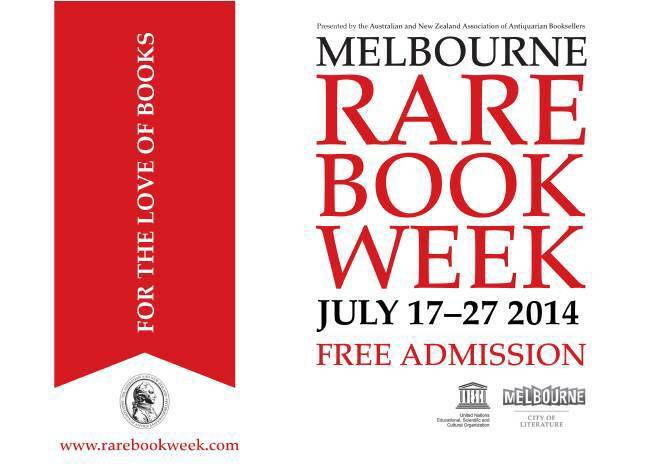 Instead of just cozying up with a book this winter, Melbourne's Rare Book Week will allow you to get your hands around a rare book and more. 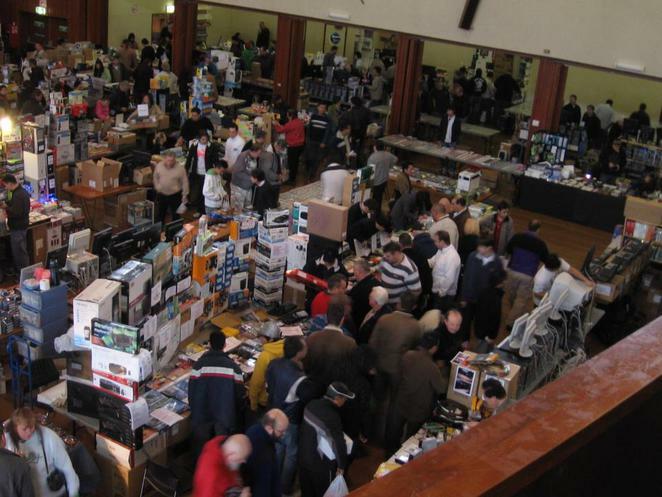 the event is a major attraction for book collectors, librarians and anyone who has a love of books and the written word. Presented by the Australian & New Zealand Association of Antiquarian Booksellers (ANZAAB), this event highlights Melbourne's reputation as a Knowledge City and status as UNESCO's City of Literature. To find out more about the schedule of FREE events held at libraries, literary and historical societies and bookshops throughout Melbourne, visit the website. 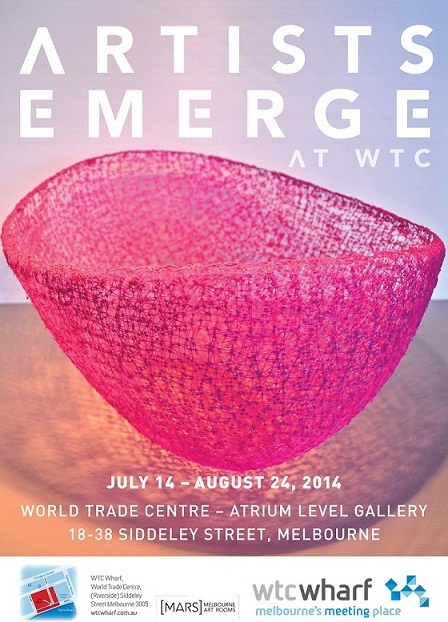 This winter, you can enjoy a FREE 6-week exhibition at the World Trade Centre (WTC) Gallery from 16 July to 24 August 2014. 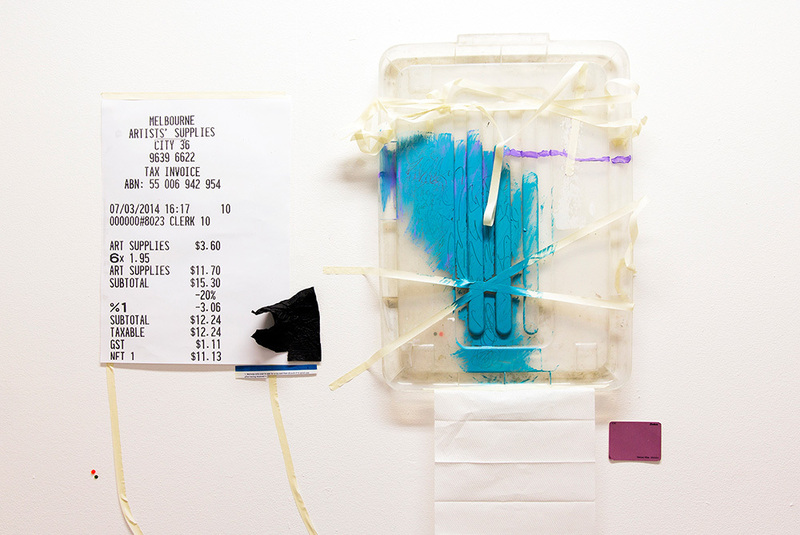 WTC and MARS Gallery have teamed up to showcase works from some of Victoria's most promising emerging sculptors at their 'Artists Emerge @ WTC' exhibition. This is another reason why Melbourne is one of the best places for Art in Australia. The exhibition will feature new and exciting works created or finished in the last 12 months by a diverse selection of emerging and mid-career sculptors like Daniel Agdag, Piers Buxton, Nicole Byrne, Melissa Cussell, Emma Davies, Sarah Field, Lloyd Godman, Kasia Lynch, Harley Manifold, Ana Cristina Jorge-Moore, Maria Simonelli, Shoso Shimbo, Tricky Walsh, Jud Wimhurst, Christabel Wigley and many more. You can also choose your favourite art work for a 'People's Choice Award' conducted through WTC social media. Melbourne is coming alive with more after-dark events. There mass mobilization of White Night Melbourne gives way to a night event dedicated to contemporary art and artists on 23 July from 6pm to 11pm. Nite Art is an after-dark FREE artwalk event with off-site exhibitions, artist talks and installations in art precincts like Guildford Lane, Carlton, Upper Bourke Street, Flinders Lane, Southbank, Spencer Street West, North Melbourne and curated architectural spaces like the Citipower J-Substation which is not open to the public. Art museums like NGV, ACMI, Potter Museum, Grainger Museum and the Dax Centre are also open to exploration. Check out the website for a detail list of venues and timings. Eva Abbinga's site-specific performance entitled 'The Well' was conceived to commemorate the genocide of Ukrainian people under the rule of Stalin in 1933. 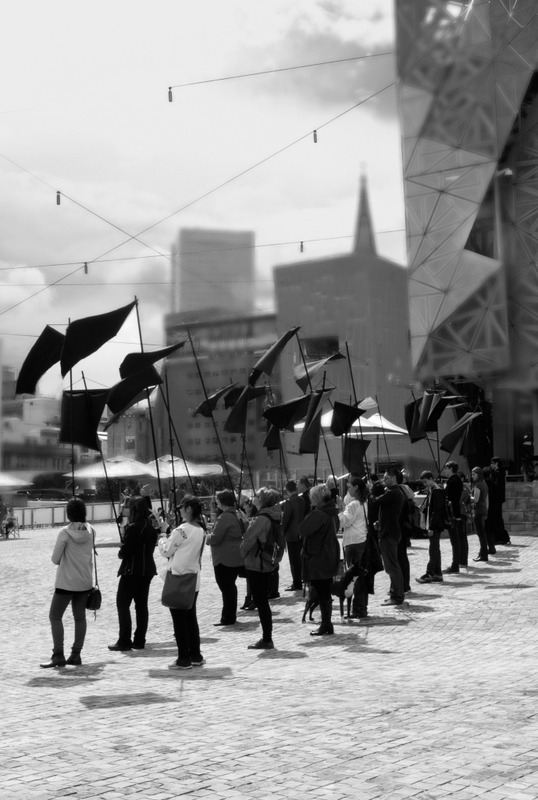 24 performers were dressed in traditional Eastern Ukrainian costumes and carried hand-dyed charcoal flags from the West Space Gallery to the steps of the Victorian Parliament House. They are held as a temporary memorial there. Her work has taken on new meaning with the current political situation in Ukraine. Eva has teamed up with Lehenda Dance Company to re-stage 'The Well' on 9 August 2014 between 10.35am to 11.30am. The procession will carry the flags from West Space at 225 Bourke Street to the stairs of the Victorian Parliament House. For more details on joining the procession, visit the artist's website. Families looking to save some money on products for babies and young kids this winter can jump for joy. 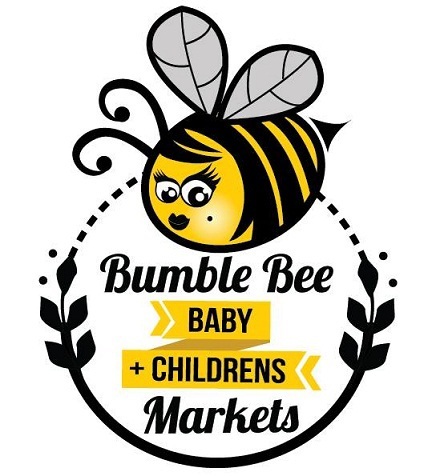 The Bumblebee Baby & Children's Market is where you can buy new, preloved and handmade baby and children's goods at bargain prices. There are plenty of stalls offering toys, clothes, books, prams, car seats, cots and much more. You can also join the market if you have any goods to sell. The market is held around Melbourne including Cranbourne, Werribee and Melbourne CBD. Check out the website for a list of the locations and dates of the markets. 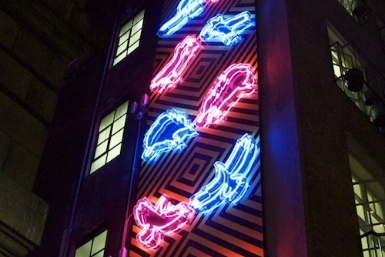 RMIT's School of Art has teamed up with Melbourne Central to present an outdoor urban gallery installation in Knox Lane which displays the work of emerging artists from the School's campus in Melbourne and Hong Kong. Running from 17 June to 31 August 2014, RMIT's Lightscape Projects will transform the permanent lightboxes into 5 displays of artworks. Drawing inspiration from the city, these artworks are designed to add to the dynamic laneway culture of Melbourne and represent a facet of the city's contemporary life. The lightboxes can be viewed between 10am to 7pm from Saturday to Wednesday and 10am to 9pm on Thursday and Friday. 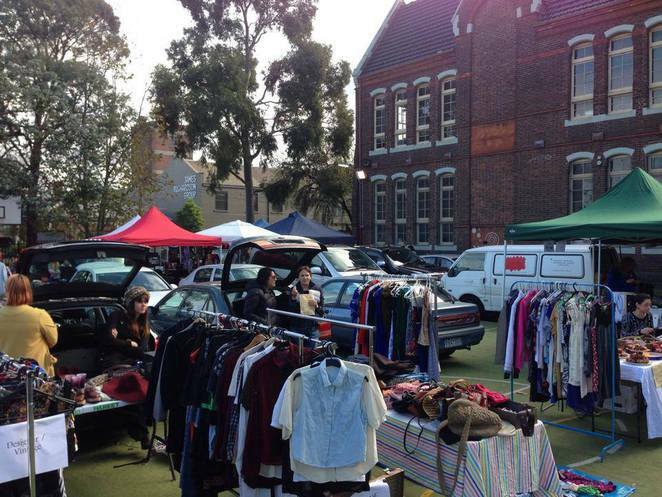 The cornucopia of weekend markets in and around Melbourne are FREE ways to enjoy winter. Depending on your location and interests, there are city markets. Or take a family drive around the suburbs and countryside to find some of the best community and regional markets that feature artisan produce, livestock, cooking classes, petting zoo, kids entertainment and good country grub. The National Science Week from 16 to 24 August is a country-wide government initiative to increase the public's engagement and interest in the sciences. It enables teachers, organisations and students to both host and attend a range of events and activities about science, technology and engineering. 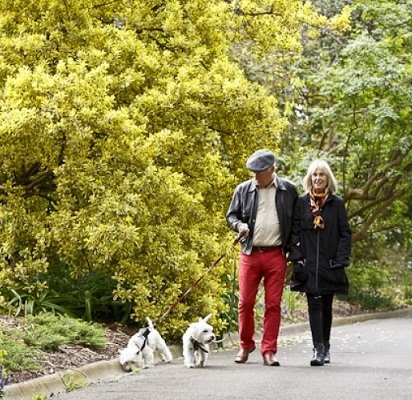 Thanks to the Melbourne's Royal Botanic Gardens, you can attend FREE walk-and-talks. The sessions on bushland biodiversity and Eucalypt are led by experts from this important resource for education, conservation, science and horticulture. There are also other free walks where you can discover the history, cultural significance and stunning beauty of the Royal Botanic Gardens. 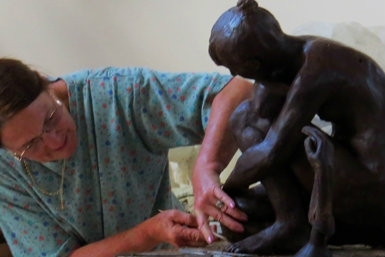 Art enthusiasts will be thrilled with the upcoming FREE exhibition by the Association of Sculptors of Victoria (ASV) which the culmination of a year's work by its members. Its Annual and Awards Exhibition from 25 August to 12 September 2014 will showcase works in bronze, ceramic, glass, steel, wire, wood and stone by a aspiring and professional sculptors. All works are selected by a panel and most are for sale. You can browse the works at leisure and also vote for your favourite in the People's Choice Award. The exhibition will open on weekdays between 9am to 5.30pm. The exhibition will be officially opened and prizes awarded on 29th August. For updates, check out the ACV website. Craft (formerly Craft Victoria) has teamed up with Queen Victoria Market to showcase the best work by Australia's leading designers and new talent through a retail initiative. 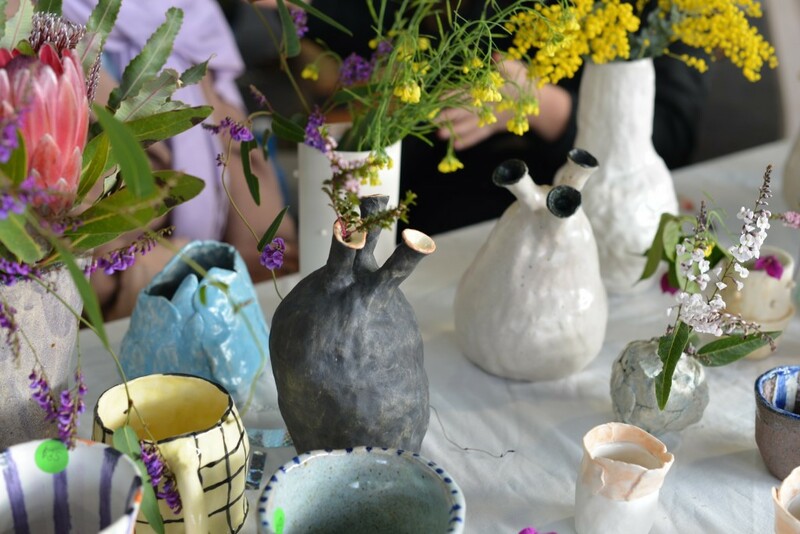 You can meet, chat and buy Victorian handmade contemporary craft and designs from local makers at the NEW CRAFT @ Queen Victoria Market. The market is held in A Shed on the first Sunday of every month from 9am to 4pm and entry is FREE.